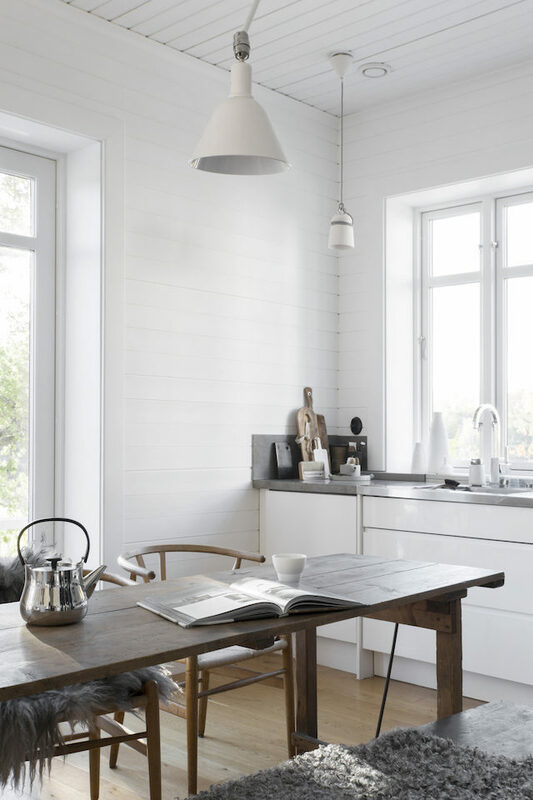 Styling / home owner: Pella Hedeby. Photographer: Sara Medina Lind. My Home Magazine. I love this space. 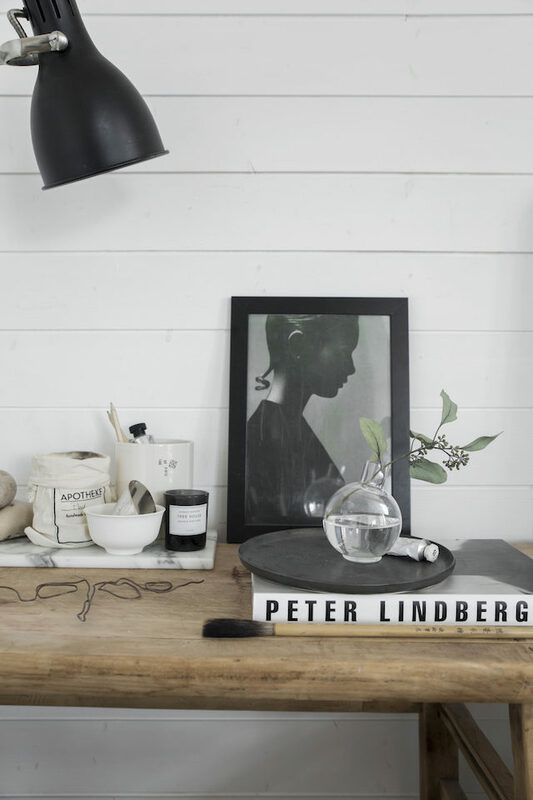 To me, it has the perfect mix of vintage, quirky and designer pieces. 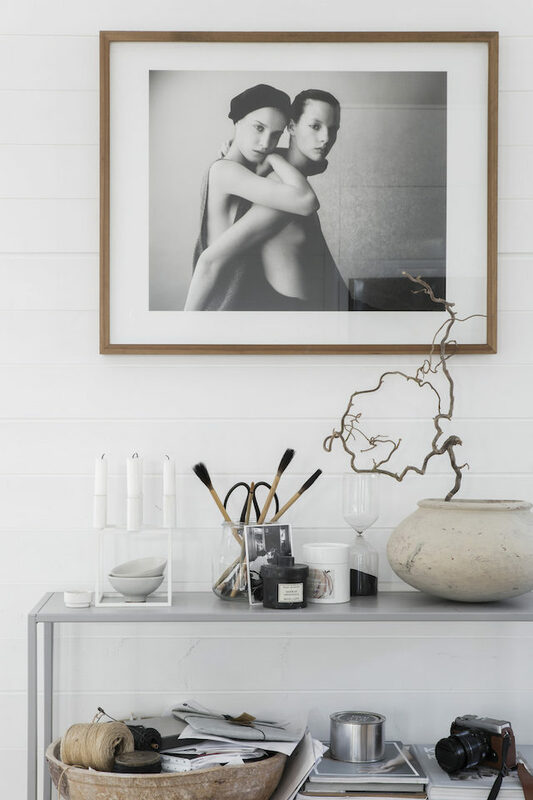 And the wood / natural materials give it a warm and cosy touch....perfect home tour to kick off the week don't you think?! Get the look: sitting room - Bertoia side chair, Kubus candleholder, Lohals rug, this concrete coffee table is similar, BestLite wall lamp. Dining room: Wishbone chairs , vintage chopping boards, sheepskin rug. 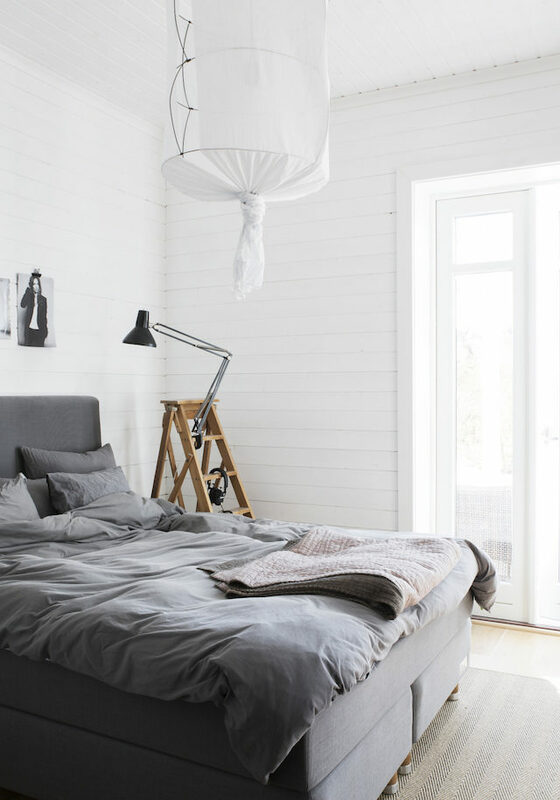 Bedroom: Koushi lamp, dark grey bed linen, source a vintage step ladder here. 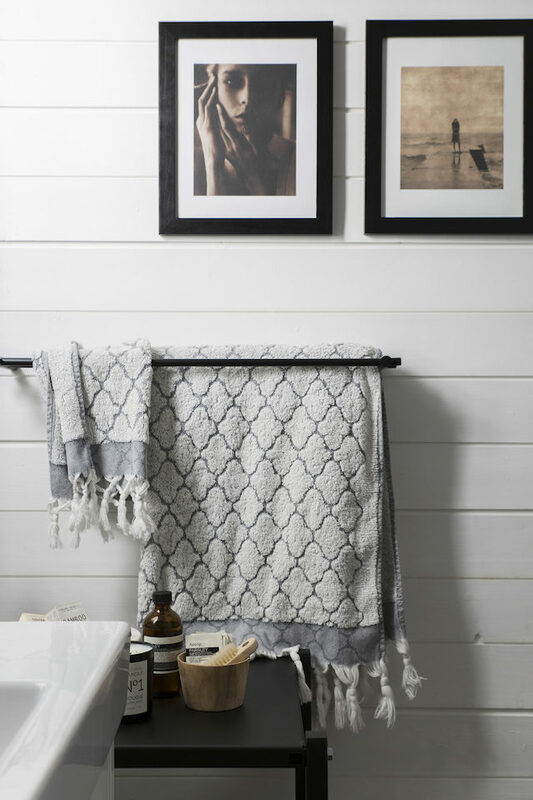 Bathroom: Aesop hand wash .
Sara (the photographer behind this shoot) has a lovely home which I once showed here and here. She was also the photographer behind these pictures of a Santorini hotel (imagine?!). This moss bubble house is crazy and beautiful, all at the same time! Love this pretty pale blue work space wall (check out the full tour of The Brunswick studio of ceramicist Lucile Sciallano here). And just how fabulous is Lino Bo Bardis' glass house? Have a great start to the week and if it's a tough one remember....this. So much nice small details in the interior.. very charming i would say.. I love the details too, so interesting! Sarah Britton from My New Roots blog is in Sri Lanka right now, check out her instagram feed. She is so lovely and will answer an email if you write her. Yes, I vote for that cabin on the Faroe Islands ! 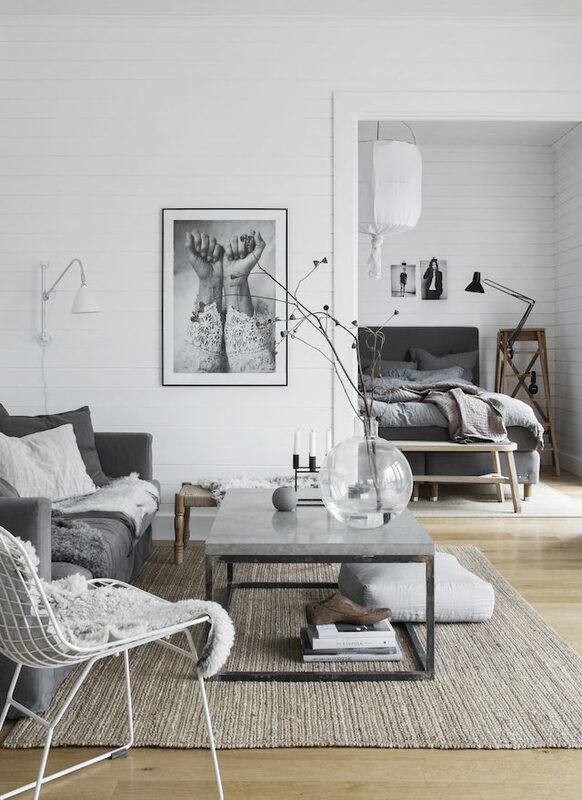 Also I love this space, its grey, black & white but feels very cozy. That bed is so lovely! Is it common to have it split and upholstered in that manner? I love the towels. Where are they from please? Does anyone know where I might find the print for sale from the lounge? The woman's forearms? Always loved this photograph but can't find it on the web.